Our social club is open from 1pm on Saturdays and 6pm for midweek matches. Fully licensed, with seating for 200, Matchday DJ, free WiFi, locally-brewed cask ales and big screen TV (but no Sky), the club provides a great atmosphere for a pre-match drink or bite to eat. We serve fresh, hot & cold food before and after matches in the club and on the ground. 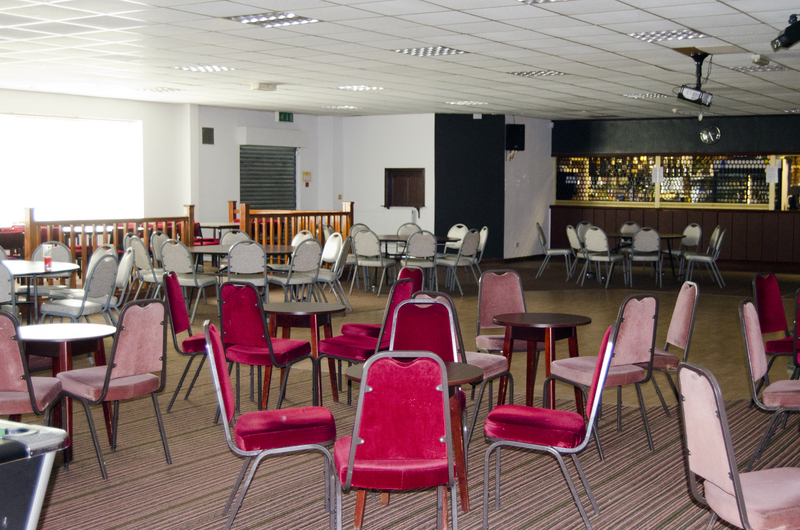 The club is also available to hire for functions, parties and events of every kind. We have a full sound and light system and fully equipped kitchens and can create menus to suit every taste and budget. We have three 3 function rooms to choose from; late bar licence (on request) and dance floor.